When you are serious about fishing (you are, of course) you want to know where the fish are now. In addition, there are many times when you need to know where they were. Technology makes it possible to have both in the best fishfinder GPS combo. You don’t have to guess when you use a combination fishfinder/global positioning system (GPS). Several manufacturers have made this combo affordable as well as efficient. You’ll just need to make a decision based on features, benefits and price. For deep-water fishermen, and those who spend much of their time angling in open water, a GPS is essential. When you are far from landmarks and familiar sight-lines, your chances of success can be much better when you can return to that favourite spot. Commercial-fishing pros understand this as well as anyone, which is why they invest in quality GPS equipment. Of course, they also use the most up-to-date technology to find the fish that will help make their business a success. 1. Newest equipment packs great computing/electronic performance in a small package – Not many amateur and semi-professional anglers have the space on their boat for the equipment a commercial fisherman uses, but that is not an issue when you have a fishfinder/GPS combo from one of the leading providers in the industry. Technology has improved significantly in the last couple of decades, especially in terms of the size of fish-finding equipment and the quality of the display. Your success on the water can really improve with some of the newest fish finders and GPS units. 2. Save numerous locations and data for accurate and successful fishing next time out – You navigate quickly and accurately to your top fishing spot, then save the locations so you can return to them later. Reduction in physical size has been accompanied by massive increases in computer memory, so you can have the information on numerous locations ready to use every time you go, no matter where you go. If you don’t return to that location for months or even a year, you’ll be able to set your boat over the same spot, with information about depth, water conditions and schooling/fish behaviour. No need to carry (and provide room for) several different pieces of equipment. 3. Convenience with all-in-one equipment – You’ll have less stress as well, when you don’t have to keep a number of gadgets charged up or supplied with fresh batteries, much less keep them all in the same gear bag. The combination makes a lot of sense. That’s the bottom line. 4. Great screens, great imaging. You get a better idea what’s underwater than ever before – Combination units now gather data about location and combine it with high-quality underwater imaging, so you can see what you’re fishing for and where those fish are. The key is to find the one that works best for you. Most people who shop for a high-quality fishfinder/GPS combination look for three or four essential features that deliver the benefits you need and deserve. For the fishfinder, you’ll need to focus on frequencies. As this unit operates when you’re on the water, it uses specific frequencies for scanning and for locating objects underwater. It may send a signal that bounces off surface features, so you’ll know the conditions you’re cruising over or sitting above. Naturally, it will send signals that can contact fish and return that signal to your finder so you know what’s there, available for catching. The most advanced units can send and receive more than one frequency at a time. Look for equipment that will work with multiple frequency: higher for better detail but not as successful in deep water; lower for depth but less detail on your viewing screen. Of course, if you fish only in shallow water, you’ll be happier with high-frequency output. For deep-water work and for commercial fishing, you may want to use a lower frequency. Power output is measure in watts, often represented by the “W” symbol. With more power you’ll get clearer, more-accurate readings, and you’ll be able to find fish in deeper water. Units with limited power won’t always send the signal out far enough and you can get poor quality images. Look closely for a good power output and frequency options. The right combination can help you choose the right unit, based on overall ability. You’re looking for balance of depth, power and clarity of image. As you look for a GPS/fishfinder combo, keep in mind that the best power and frequency won’t mean much if you can’t use the information. Think in terms of a computer. You can have the most-powerful and efficient computing capability, but without a high-quality monitor, the data does you little good. That’s why it’s always a good idea to spend a bit more to get a top-shelf screen. The screen should also be large enough so you don’t have to work hard to get the information you want. With combination units, the screen will need to display GPS information, fish data, and may need to be used in split-screen mode if you use dual-frequency operation. Best tip: Get the largest and best resolution you can afford. Your fishing time will be much more enjoyable if you have split-screen function, color variety, as well as spotting, marking and navigating to locations while you’re on the move. A big screen will go a long way toward making your time on the water enjoyable and successful. One of the key benefits you’ll get with the Dragonfly 7 Pro with US Navionics is stated in this phrase “with US Navionics.” To explain what this means, look at this example: With Navionics+ for a specific region or for the U.S. you have an SD card with map data for hundreds of lakes and for all coastal waters. You’ll pay a bit extra for this, but the serious fisherman will consider it a wise investment. 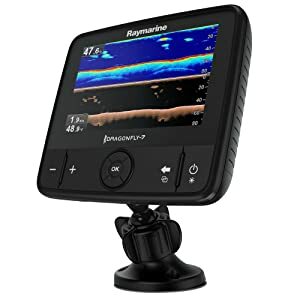 The Raymarine also delivers CHIRP DownVision with very clear photo-like sonar images and excellent deep-water performance to 600 feet. This unit also has Spectrum CHIRTechnology for more detail and image structure. Built-in GPS with Navionics+, Wi-Fi for smartphone connection, and LCD display for brighter colours and sharper contrast. 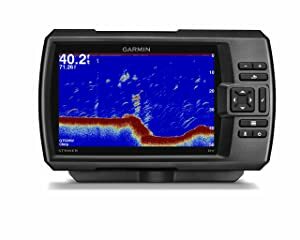 Judging from the products Garmin has produced in the past, you could hardly go wrong with the Striker 7SV when you’re shopping for the right GPS/fishfinder combo. 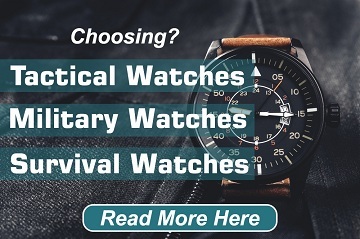 The basics here are rugged design, which you’d expect from this industry leader. This unit will stand up to tough marine conditions and deliver the performance you’d expect. The GPS receiver gives you the basics and then some, allowing you to mark your favourite spot and return to it tomorrow or next year. The unit also displays GPS speed, which means you will know your trolling pace. Look for and mark specific underwater objects and locations with a waypoint map. You will be safer and more accurate with knowledge of stumps, brush piles and dock locations. 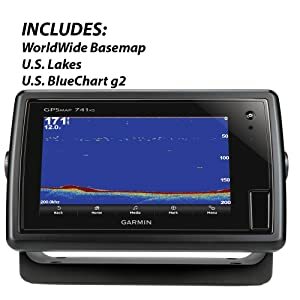 The Garmin also delivers an array of information with CHIRP Sonar – a continuous sweep of frequencies (low to high) for more, and more accurate, information. Think in terms of crisp fish arches and better target separation. This unit also has a flasher included. Sonar data view is ideal for vertical jigging and ice fishing. Pay a bit more and you get a bit more with the Humminbird Helix 7 SI GPS. The screen is massive, compared to other combination units – 12 inches with 1280×800 pixel resolution. The any-angle viewing and reduced glare are excellent. 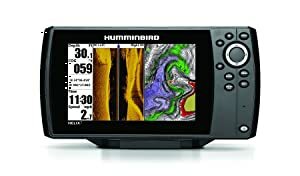 The Humminbird also has the electronic capability to support almost any advanced feature you can imagine, including, of course, precision GPS. The power output can get you down to depths you won’t get with a few other combo units. You also get side imaging, down imaging and dual-beam imaging, thanks to true split-screen capability. The separate screens are individually zoom-capable. Create charts and maps on the fly. Enhance your current charts as well. On-board GPS receiver ranks well with other standard units in this price range. Couple this with the touch-screen capability and wireless connectivity, and you have a solid combo unit. NMEA 2000 and radar support are offered at a competitive price, as is pre-loaded LakeVU HD maps for the U.S. (more than 17,000 lakes, rivers and reservoirs). Rrealvu 3D down imaging gives you a great view of what’s going on below, with outstanding perspective. Connect to precision Panoptix transducers for advanced dimensional images. Built-in support for a wide selection of Garmin transducers. Add optional GCV 10 black box sonar for DownVu and SideVu scanning sonar. Special features for sailing. With the Lowrance HDS-9 Gen 2 you get a high-resolution 9-inch display (touch screen) and pre-loaded cartography. But you’ll find it’s compatible with most maps available and also offers a convenient snap-to-setting feature. Use the on-board 5Hz GPS antenna or upgrade to the 10Hz external antenna for more accurate overlays. You’ll also enjoy the GoFree cloud that allows you to view and control the finder on compatible tablets and other wireless devices. Relax and gather your information from multi-view screen, while you adjust views, colours, setting and overlays. 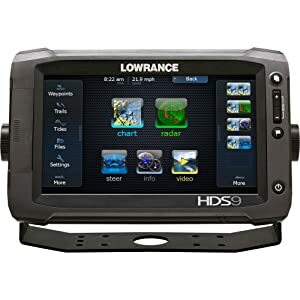 As with many products, you’ll have to pay close attention to the specific features delivered for the price, simply because the investment for combination fishfinder and GPS can range from $500 to $1200 or more. Fishfinders and GPS units are well advanced when compared to equipment used just a few years ago. Most of the time you can get excellent 3D mapping, scanning, charting and navigation at a very reasonable price. It’s not necessary to spend hundreds more unless you really want to go after the top-of-the-line unit. As mentioned in the beginning, you should look for multi-screen/split screen operation, to make your fishing experience more relaxing and more accurate. Pay particular attention to the power output in watts and to the size and clarity of display. It’s also important to look for units that are easily upgradable (hardware and software). If maps and charts are your key factor, the Navionics+ with Raymarine is the way to go. The Humminbird does the job for screen size and viewing. Garmin is hard to beat for rugged construction and stress-free, basic operation. Lowrance delivers in antenna upgrade and touch-screen performance. Choose carefully and enjoy your time on the water. Really incredible post about best fish finder 2017. I am using this for 6 months, moderately satisfied. Thanks Sammy, Cool. my favorite GPS combo fish finder Garmin Striker 7SV. a really great product… thank you Sammy !